One of the greatest blessings of living in this century is that there has been thousands of years of knowledge and wisdom preceding this time. Teachers have left teachings for us to access great wisdom from down through the ages. As evolving beings, we have seen and heard about many terrible things done, which have also been invaluable as lessons for what actions we take now; and what thoughts we consider, in sorting out how best to live for the good of all. Many of these teachings assist me in finding a depth of understanding, for living my life fully at many levels. An holistic life that creates more good than harm, more joy than sorrow, more creativity than destruction. Teachings around what to be aware of; what tricks to look out for; how to be discriminating; how my actions create effects – some of which I would look forward to experiencing, and others I would prefer to avoid. Teachings about well-being on many levels, from physical, emotional and mental and how being interdependent, each affecting the others. One of my favourite and most supportive teachers is an Indian mystic who travelled to America in 1920 to take an understanding of yoga to the west. 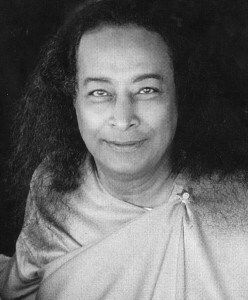 His name is Paramahansa Yogananda, and he gave many lectures, which were transcribed into books. Yogananda had an intense devotion to the Divine and an understanding which gives me un-paralleled peace in trying to work out how to live my life’s full spiritual potential. In ‘Autobiography of a Yogi’ he writes: “The relativities of life and death belong to the cosmic dream. Behold your dreamless being! Awake, my child, awake!” 3. He suggests that the Divine inspires scientists to discover, at the right time and place, the secrets of (His/Her) Creation. Just as each of us has this inbuilt ability to attune or to receive higher impressions about what is true and what is illusory. 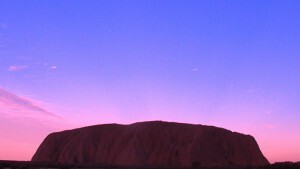 By Grace, or perhaps, by practice; by living life in a state of trust and of letting go, these higher understandings become more available and connected to, from time to time. Sometimes through seeking; other times while going about day to day tasks. The intention to know and to find out, I believe, is certainly helpful. As in the adage, “seek ye first the kingdom and all else shall be given unto thee.” To me these ideas suggest that we can let go of our attachments to this earthly realm knowing that there is so much more to be experienced. And where does worry, fear or attachment lead us anyway. As Gautama Buddha taught, clinging leads only to suffering. Suffering, however, that serves us well. Wisdom, that comes through experience. Wisdom, which to me, suggests knowledge or experience that embodies heart. Where the knowledge is not only about information or data, but understanding that embraces fully, the true good of all; the welfare and well-being of life itself. Wisdom perhaps, that God is Love, and that Love is really, all there is. For me, the peace comes as I learn more that supports me in my ability to trust. Placing trust in everything that happens as being for my ultimate well-being. Affirming that: “everything happens ‘for’ me, and not ‘to’ me.” Even the challenges and difficulties in life, leading eventually to learning; letting go; releasing; stimulating more benevolent choices. In seeking, in finding, in connecting – when you realise – then you are free.